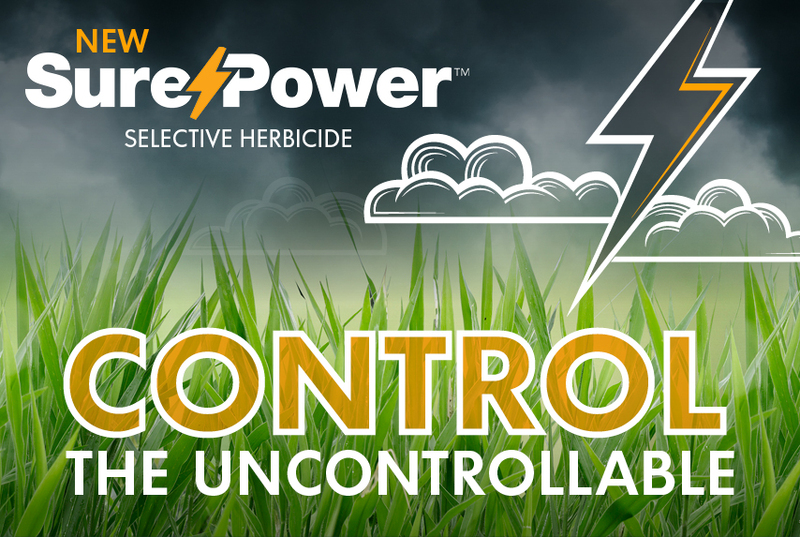 Alsip, Illinois (June 4, 2018) – Nufarm Americas announced it has been granted federal EPA registration for Sure Power™ Selective Herbicide, bringing lawn and landscape professionals fast and effective control of even the most challenging broadleaf weeds. Sure Power utilizes a four-way active ingredient combination of 2,4-D, Triclopyr, Fluroxypyr and Flumioxazin. It offers early-season and late-season control of more than 250 weeds, including tough-to-manage broadleaves that impact turf appearance and quality. Sure Power delivers two different modes of action to support resistance management programs. “Sure Power has consistently provided fast burndown of broadleaf weeds as well as long-term control in our field trials,” said Hathaway. Watch for Sure Power registration in your state at www.nufarminsider.com/SurePower. As a leading supplier to the Lawn and Landscape market, Nufarm’s US Turf and Ornamental team delivers a portfolio of products meeting the value, efficacy, and innovation demanded by the market to solve the daily pest and disease issues you face. Trusted products such as Escalade 2, Horsepower, Arena and Aloft have been your go to products for years and innovative solutions such as Sure Power, Certainty, and Change Up are more recent Nufarm solutions. An unsurpassed customer service team coupled with the sales and technical resources, all with a mission to solve your problems, sums up the personality of your Nufarm team. We are here to help you grow a better tomorrow, today.